I have been writing these letters to keep for my daughters for a time when they are grown and need to hear them. 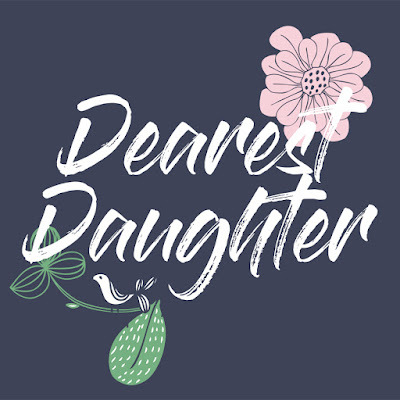 I wanted to share them with you every now and again in a series called "Dear Daughter". It is a series from mothers of any age to daughters of any age. You can read them to your daughters, or read them as though they were from your mother. At the end of each post with be an image of the letter on stationary that you are free to download and print off for your daughters. that I love you with all my might. There is nothing you can do to take away my love for you. But, even though I am your biggest fan I will fail you sooner or later and it will hurt. but I am not without fault. I am a sinner and my imperfections often shine brighter than my strengths. I am sorry from the depths of my heart. will leap off his throne to come to you. to your cry for help. Mountains will tremble in his presence. protecting you from those who hurt you. and your heart is too burdened. Though people like me will fail you, HE never will. He rescued me from my powerful enemies, from those who hated me and were too strong for me. They attacked me at a moment when I was in distress, but the Lord supported me. Beautiful. 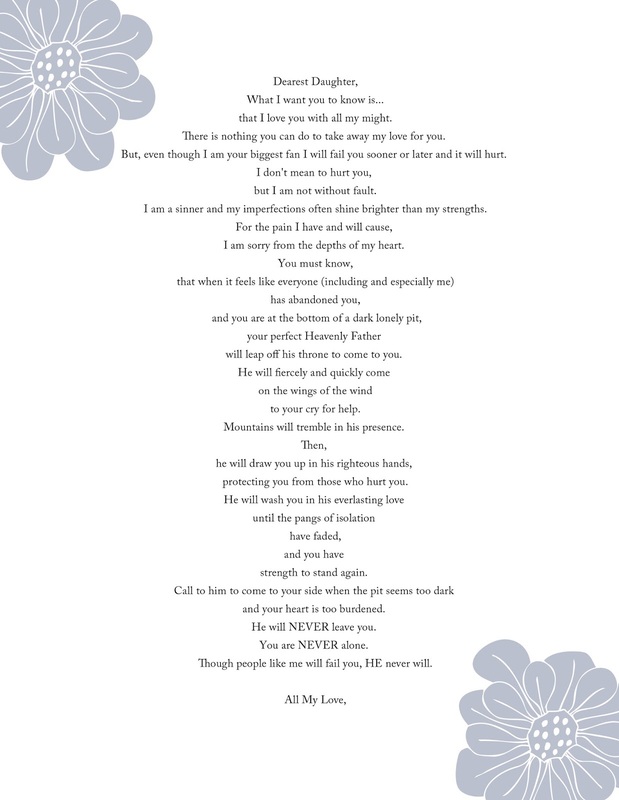 True love and a direct reflection of God's love for us. Thanks for reading and for your lovely comment. Blessings!